The pro European area was part of the Polish-Lithuanian commonwealth. Basically that's all the old Russians (now referred to as Ukrainians) who got conquered by the Poles. The bits that Poland owned speak Ukrainian, the other bits speak Russian. 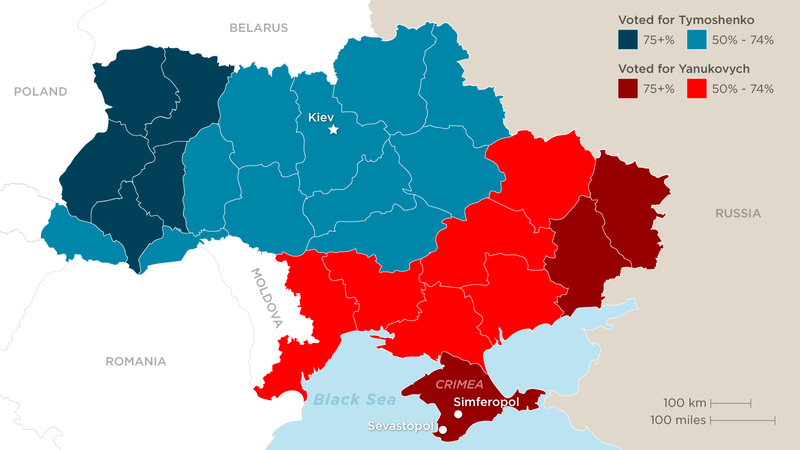 Ukrainian and Russian were once the same language. They diverged mainly because the people lived in different political entities. So Ukraine is another one of those made up countries, like Belgium.